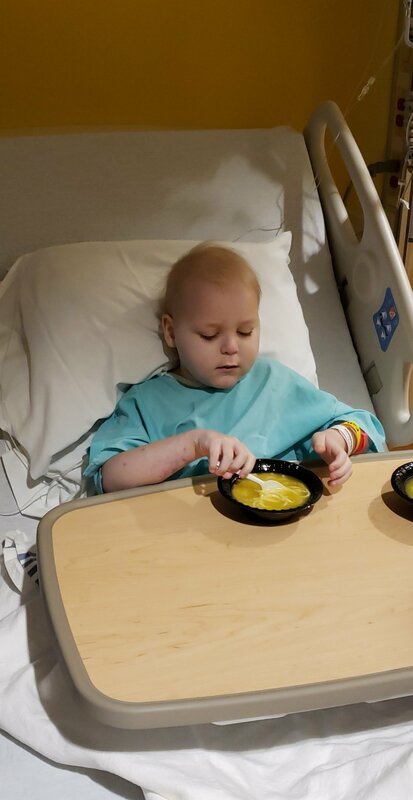 Cameron had a biopsy on Monday. Monday was the last day of the induction stage (Day 29). The results came back late Tuesday, and was not that great. I’m going to just write out the facts and everything we know from the meeting with the doctors. 20 percent of his bone marrow was luekemia. This is quite high considering most children at the point would be at trace levels. The doctors are growing doubtful the chemo is going to work alone, but are wanting to try four more weeks of chemo. 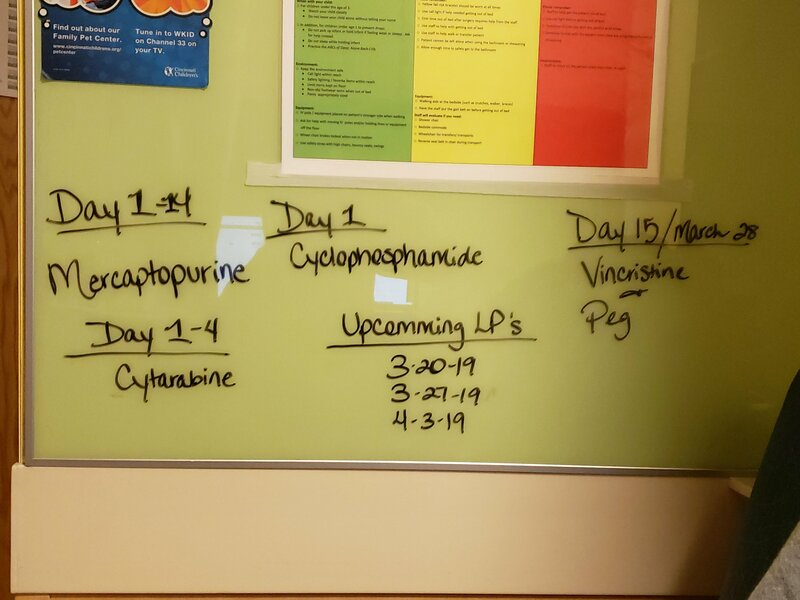 The schedule is crazy, he will have 15 consecutive days of chemo with a total of 21 treatments; 3 doses today, 2 doses a day for the next 3 days, 1 dose each day through the following 11 days, and 2 doses on the last day. To put this in comparison, in the 29 days of induction prior, he had a total of 9 doses (and that was the very high risk schedule). We will be doing a spinal tap and biopsy every week going forward as well. The dates I have are March 20, March 27, and April 3. These are different chemos, and he has been taken off steroids as well. To be proactive, we will also start preparing for Plan C, a bone marrow transplant. Next week the doctors will start screen family members for a possible donor. Carson, his brother, is the most likely match for this. This is what we know. One more month in the hospital until we know more. Thank you all for your support and prayers. I truly do appreciate it. God bless. Cameron is not in remission. Please disregard the last post. Please let me know where to go to be tested for Cameron. I would gladly be a donor. I love you all. Janet Pearcy on Cameron is coming home!